Our model railway auction on the 18th July 2018 proved to be popular as ever with over 400 lots to choose from, keen bidders were queueing at the door when our viewing rooms opened at 8.00am. The sale began with the real steam section and this lovely Bassett-Lowke by Corgi O gauge BR Black 42981 Stanier Mogul 2-6-0 locomotive and tender which realised £360, over double estimate! 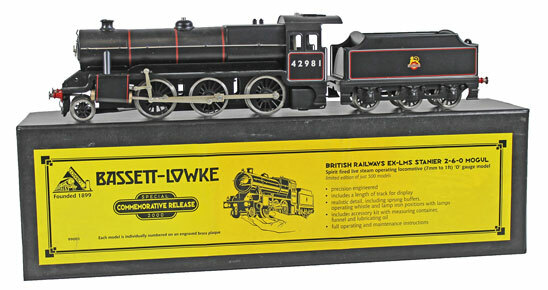 This Bowman O gauge LNER 4472 4-4-0 locomotive and tender sold for £204. 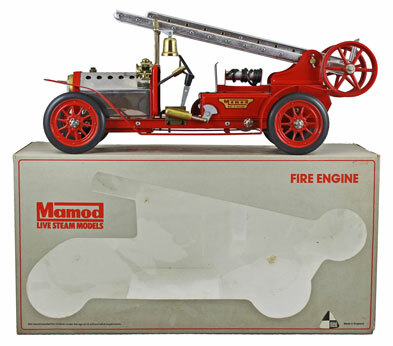 And this Mamod Fire Engine No. FE1 achieved £156. Moving on to the O gauge section highlights included this ETS Austerity Class BR 90149 2-8-0 locomotive and tender which realised £288. This Heljan/ Tower Models Class 52 Western diesel BR D1000 ‘Western Enterprise’ No. 52837 locomotive which sold for £456. This J.M. Kits GWR 1024 ‘County of Pembroke’ 4-6-0 locomotive and tender achieved £372. And this kit built BR 2920 ‘Saint David’ 4-6-0 locomotive and tender realised £372. In the OO/ HO gauge section this Challenger Imports Ltd (Korea) Boston and Maine 6000 Cheshire Flying Yankee locomotive and two coaches No. #2357.1S sold for £600. Also by Challenger Imports Ltd (Korea) this Pennsylvania Railroad steam turbine class S-2 6-8-6 6200 locomotive and tender No. #2527.1 achieved £1,110! 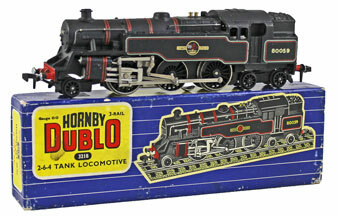 This Hornby Dublo BR 80059 No. 3218 tank locomotive realised £384. 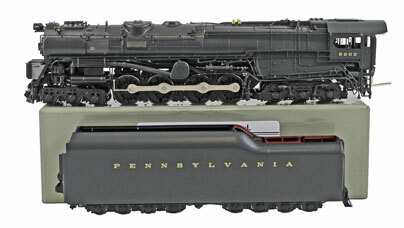 This Overland Models Union Pacific steam turbine #1 locomotive sold for a whopping £1,800! And this Wrenn BR 5090 ‘Neath Abby’ No. W2284 locomotive and tender achieved £456. Our next Model Railway auction will be held on Wednesday 19th September 2018. The full catalogue for this sale will be on our website in the next few weeks or keep an eye on our Twitter and Facebook pages which will include updates of our latest auction news.